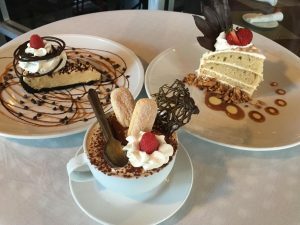 Josie’s Ristorante, located in Boynton Beach, is family owned and operated, and known for their traditional Italian cuisine. Tonight I had the pleasure of attending a Dessert and Bubbles Party. We were welcomed by Chef Mark Militello, a James Beard Award-Winning chef and Sebastiano Setticasi, co-owner and chef de cuisine. This event was all about Ashley Roehrig, Josie’s pastry chef, who is a graduate of The Culinary Institute of America. Tonight she was showcasing several of her delicious dessert creations. Chef Ashley first teased us with trays of individual bites created from her tasty desserts. Our next dessert delight was the Key Lime Pie. It was a sweet representation of the creamy key lime custard then topped with fresh raspberries and blueberries nestled in whipped cream. 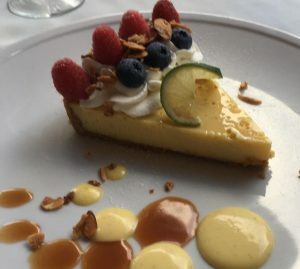 My mouth was happy to enjoy one of the most famous South Florida desserts. Then we were presented the Chocolate Peanut Butter Pie. It was rich and creamy and the perfect blend of sweet and savory. 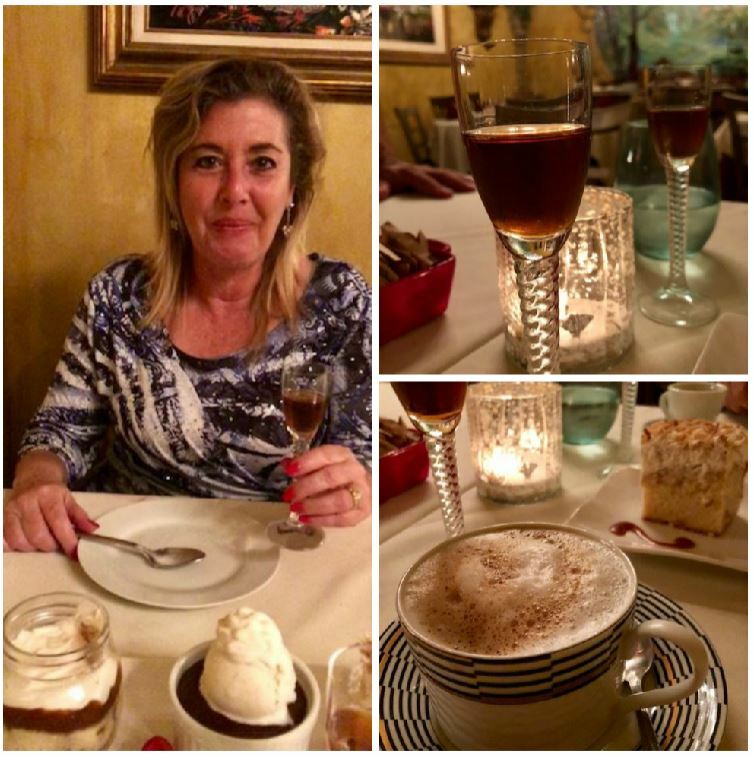 The Tiramisu was light and melt in your mouth, and yes with a special chocolate spoon. The Italian Wedding Cake was amazing. I saved the best for last, if you are a chocolate lover that is. It was the 16 Layer Chocolate Cake. Sixteen sweet layers of chocolate cake alternated with chocolate frosting goodness. It made my chocolate inner child smile. 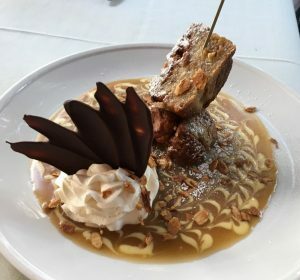 Josie’s Ristorante is located in the Riverwalk Plaza at the southeast corner of Woolbright Road and Federal Highway. 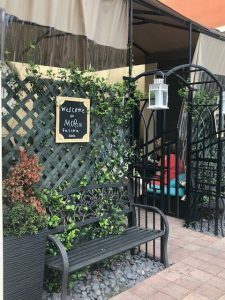 They have been serving homemade Italian fare in Boynton Beach for 26 years, making this a destination dining location. 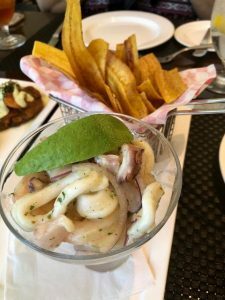 Today’s Boca Food Find is Square One or SQ1 for short. Previously home to Brewzzi’s Restaurant, Square One’s central location on Glades Road, just west of 95 in the Glades Plaza underwent a $1 million renovation buildout of the over-6,000-square-foot space to create a stunning upscale-casual dining experience suitable for a variety of dining occasions. 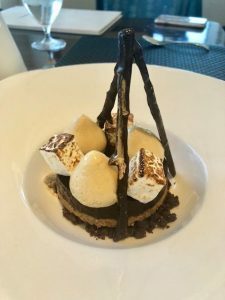 With Chef Jon at the helm of Square One’s kitchen, the restaurant rotates their culinary offerings seasonally featuring locally-sourced ingredients that highlight diverse flavor combinations at a friendly price point. 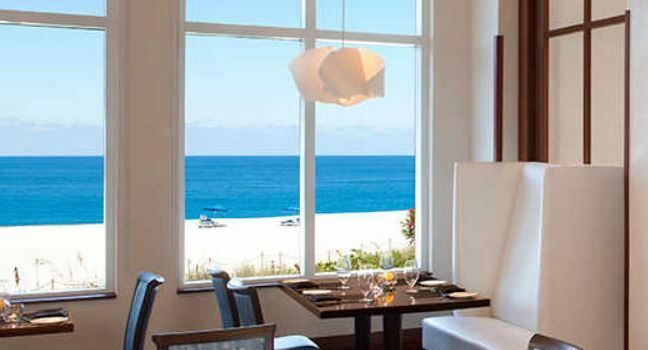 The diverse menu is also complemented by an expert-curated wine list and mixology program. 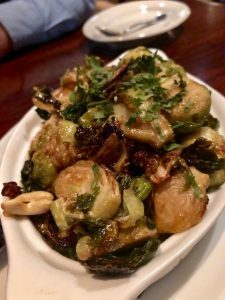 Offerings range from shared plates to brick oven pizza fired to order, to fresh fish and dry aged steaks, and a rotating menu of weekly lunch specials. 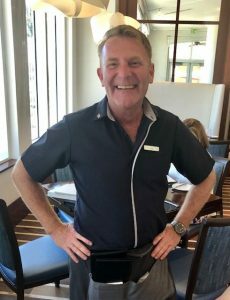 Chef Jon’s menu items are chosen for flavor prominence, locally-available ingredients and approachability, while the reimagined restaurant space – brought to life by Eric’s vision – presents an open and inviting setting complemented by similarly cheerful staff. 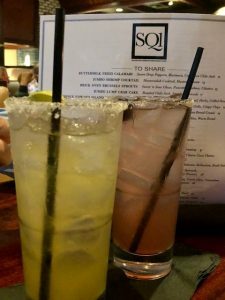 I was recently invited to dine at SQ1 by the restaurant’s PR firm. We had a lovely dining experience which started off with some cool cocktails followed by the Brick Oven Brussels Sprouts that Eric himself recommended. They did not disappoint. I have to say that ever since Brussels became an “in” thing, I am amazed at how much I am digging them. What I thought was unique about SQ1’s version is their sweet n sour glaze and the use of cashews and cilantro. It also comes with pancetta which I love, but if you do not eat meat, I’m sure they will leave them out if you request it. 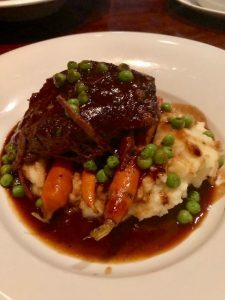 For our entrees, we tried the Red Wine Braised Short Rib served with mashed Yukon Gold Potato, Baby Carrots, English Peas and Veau Jus. It was so tender and juicy. 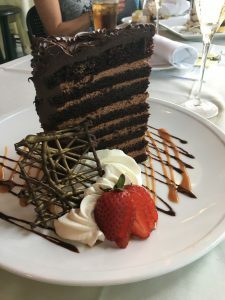 To me, it was elevated comfort food that hugged me from the inside with each new bite! 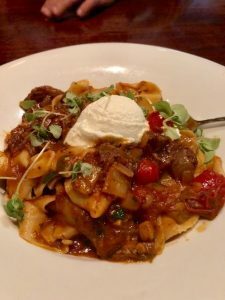 The other entree was the Slow Braised Beef Ragu served on house-made pappardelle with caramelized fennel, cherry tomato confit, ricotta and basil. The flavors were terrific, although the pasta was a little too al dente for my personal preference. For dessert, we had a tough decision since there were several great choices. 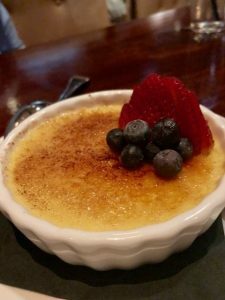 We were extremely pleased with our selection of the classic creme brule. An indoor-outdoor bar provides ample space for drinking, dining and working – outfitted with electrical outlets, USB ports and a WiFi booster to facilitate connectivity. Two brick ovens flank the main kitchen, which are responsible for the flavorful char on every pizza ordered, and have been burning 24 hours a day since the building’s opening in 1997. Executives, families and networking groups will find a number of options to facilitate private dining, meetings or celebrations from a central open elevated dining room to a completely-enclosed glass room outfitted with technical capabilities, custom wood conference table and chic velvet seating. 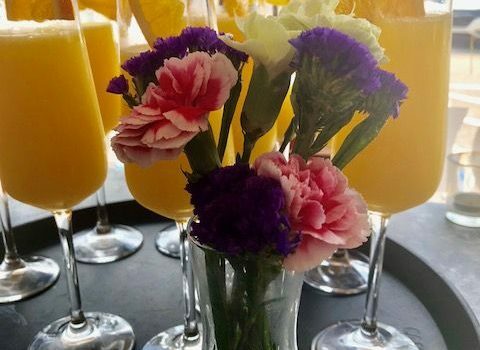 Complementing the culinary menus is an expertly-curated wine list features wines by the bottle and by the glass at various price points, as well as a roster of craft beers and inspired mixology program. 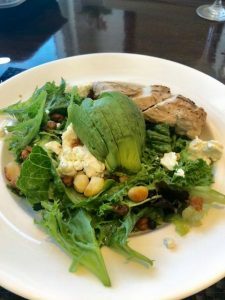 throughout the restaurant, which uses reverse osmosis filtration for a superior sip while contributing directly to the Whole World Water Charity in support of international clean waters. 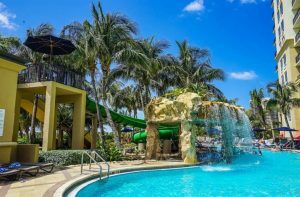 Now open for lunch, dinner, happy hour and Sunday brunch, Square One is located in Glades Plaza at 2222 Glades Road, Boca Raton, FL 33431. Hours are Mon. – Thurs. 11:30a.m. – 10p.m. ; Fri. & Sat. 11:30a.m. – 11p.m. ; Sun. 11a.m. – 10p.m. 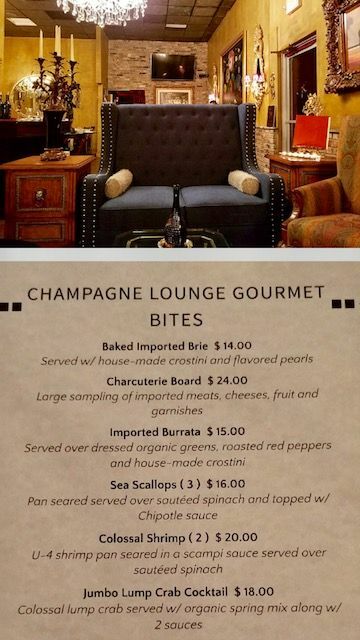 For more information or to make a reservation, call 561-923-9176 or visit www.squareonerestaurants.com. Head Chef and co-owner Monique Buchbinder (the name MoBu is derived from the first two letters of her first and last name), earned her degree from the French Culinary Institute in Manhattan prior to working as a chef at Per Se (the sixth highlest Michelin rated restaurant) and at the famed Nobu in Miami (yes, you might say there might have been a tad bit of influence behind her restaurant’s chosen name) before deciding to become a private chef taking on catering jobs and hosting dinner parties in Manhattan, Naples and Miami. 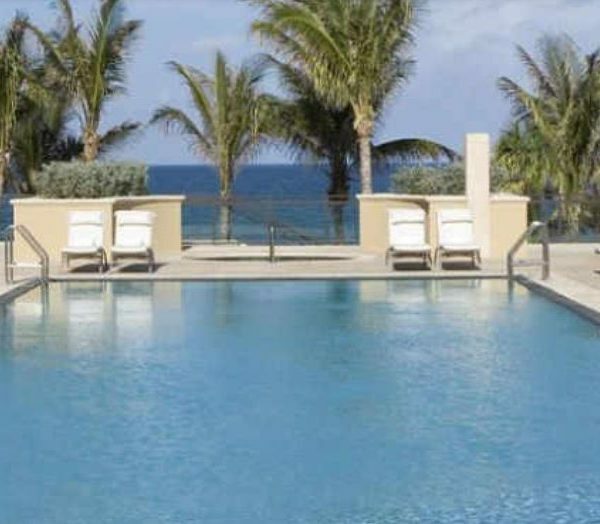 She began cooking for a gentleman named Bruce who moved to South Florida from New York. 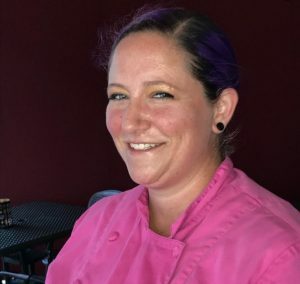 When Chef Monique expressed her interest in opening her own restaurant one day to Bruce, he realized her talent in the kitchen was too good to keep all to himself and decided to help back her. 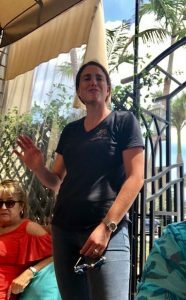 Bruce’s daughter, Brooke, MoBu’s General Manager and Marketing Director, handles the front of house and community events, while Chef Monique makes magic in the kitchen. 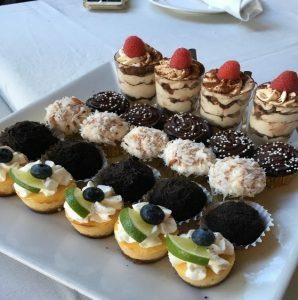 In addition to making dishes that are filled with flavor, Chef Monique makes dishes that are sensitive to healthy diets and food allergies, including nut-free and gluten-conscious (gc) items in addition to vegan, organic, vegetarian diets. Seasonally inspired, beautifully plated, and sourced from some of the world’s most vibrant cultures, Mobu’s dishes leave guests filled with a revitalized love for cuisine and community. 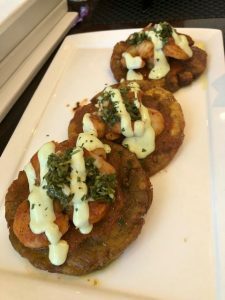 Sourcing foodie favorites from Asian, French, and Caribbean cultures, MoBu Fusion Cafe in Boca Raton is where folks come to enjoy international cuisine in an elegant local atmosphere. Using fresh ingredients as her brushes and plates as her palettes, Chef Monique only works with the best food suppliers so you can expect to always enjoy the most delicious and freshest ingredients. 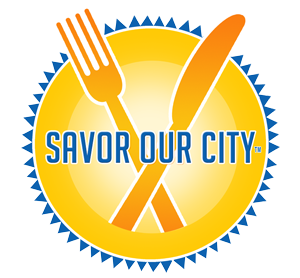 From beautifully presented appetizers and main dishes, to tantalizing desserts, you will be in food heaven. 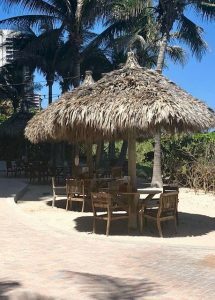 Relax and unwind in their beautiful patio dining area, where you will be surrounded by nature & water. This is where our group of bloggers gathered for a brunch tasting. Every dish that was brought out had a flare to it and each was exceptional. 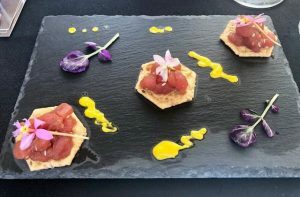 We started out with an Amuse Bouche of Tuna Poke (gc) artfully plated on a black slate. Next was the Banana Bread French Toast, which was my personal favorite. 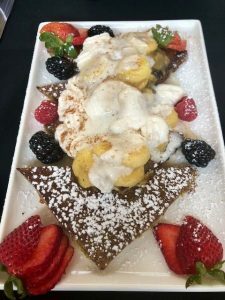 On top of this most wonderful gluten-conscious French toast (which I still can’t get over had little to no gluten) was bananas foster, Marsala wine, whipped cream and berries. I believe I am drooling as I am writing this now. lol! 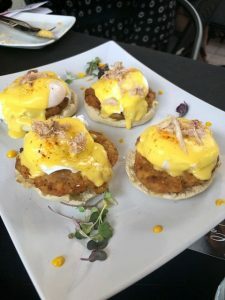 Our next course was a Crab Egg Benedict which featured lovely lump crab cakes topped with poached cage-free eggs and a delicious hollandaise sauce. 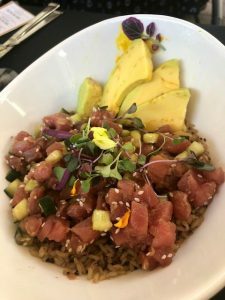 The final tasting of the day was the Tuna Poke Bowl which was made with sushi grade tuna loin, on top of quinoa, brown rice, avocado, sesame seeds and cucumbers. 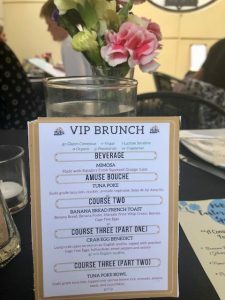 In addition to their wonderfully yummy brunch menu, they have a simple yet well thought out dinner menu as well with wonderful selections from land to sea. MoBu’s first 5 course Chef’s Table dinner is scheduled for this Friday evening, April 20th. For details, click here. 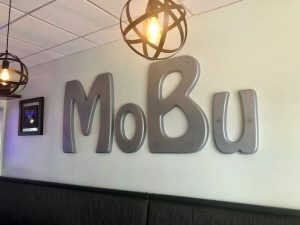 MoBu Fusion Cafe is located at 1159 South Federal Highway in Boca Raton. Delivery is available through Delivery Dudes. Catering is also available. 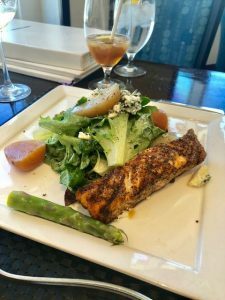 My birthday happened to fall on a Friday this year, the weekend of Passover and Easter and to get things kicked off, I decided to accept an invitation to dine at The Winemakers Table in Delray Beach. I had been hearing wonderful things about this place but just hadn’t been able to get there. That is until I met Tom and Michelle Ferraro, the brother and sister team who co-own this little treasure. I met Tom and Michelle purely by coincidence one evening while they happened to be on one of my weekly culinary tours in Royal Palm Place invited by their Merrill Lynch Financial Advisor. The Winemakers Table opened 8 months ago and let me tell you, if you didn’t know any better, you’d think your gps took you to the wrong place. It was dark when we arrived and we both questioned whether we were in the right place as we pulled in to what appeared to be an industrial area with nothing but warehouse bays in front of us. 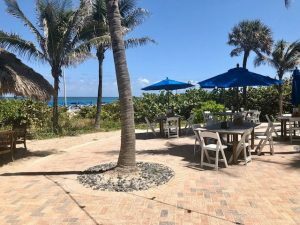 (Side note: it’s actually a Corporate Center, albeit pretty remote) The Ferraro’s, who previously owned Ferraro’s on Glades, which they sold, were looking for a small place that would be out of the hustle & bustle of Atlantic Avenue where patrons would not worry about parking. The converting of this “warehouse” space into a cozy living/dining room enabled them to see this vision through. 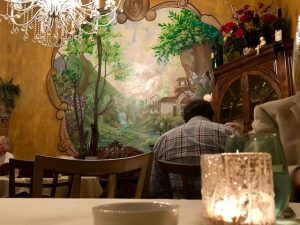 They wanted to create an atmosphere where guests could enjoy their meal, relax & not feel rushed that their table must be turned over. Tom welcomed us at our table shortly after we were seated and after asking us if we had any food allergies or dietary restrictions to which we replied no, he proceeded to tell us he had a lovely four course pairing that was being prepared for us and would be out shortly. I couldn’t wait! 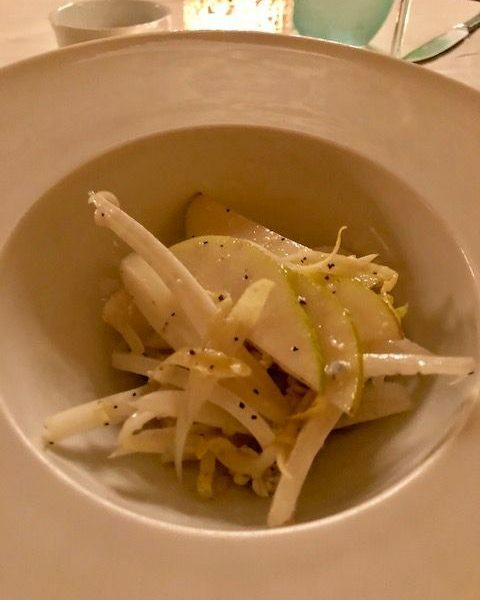 First up was a pear and endive salad with Gorgonzola and hints of vanilla in the vinaigrette that paired excellently with the Prosecco that was served with it. The dressing was sooooo good that I wanted to just pick up my bowl and lick every last drop. (of course, I resisted, hehe). 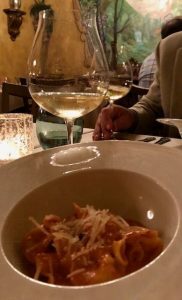 The next course was pear & pasta purses with a red creamy sauce made from San Marzano tomatoes and paired with a Chardonnay. 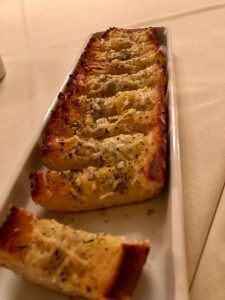 Fresh hot & yummy garlic bread was also presented during this course. The pursers were packed with flavor and cooked just to our liking, although I’m not 100% convinced that the Chardonnay was the right pairing (at least for me, but also full disclosure, I’m not a huge Chardonnay fan). Sesame seared yellow fin tuna with rock shrimp, (fruit de mare) cucs & house made lemon vinaigrette paired quite exceptionally with a Burgundy (not pictured, sorry,) was our third course. 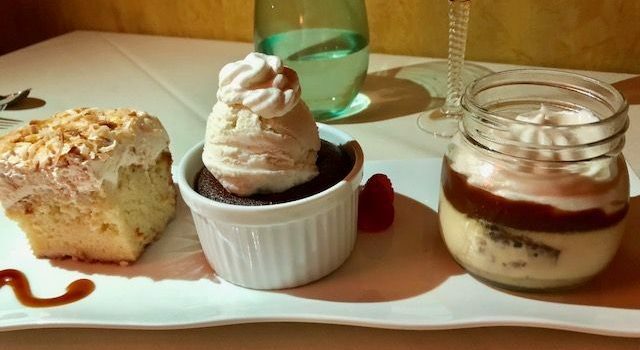 Our final tasting of the evening was Banana Foster Pot de Creme, Chocolate lava cake and Coconut cake paired with a 1960 Chateau port wine ($1250/bottle). While all three desserts were outstanding, the chocolate lava cake with the port was the best, in my opinion. They have a private room that can seat up to 30 ppl!!! The Winemakers Table is open Tues – Sat 5 – 11pm, however they are available 7 days a week for private events.